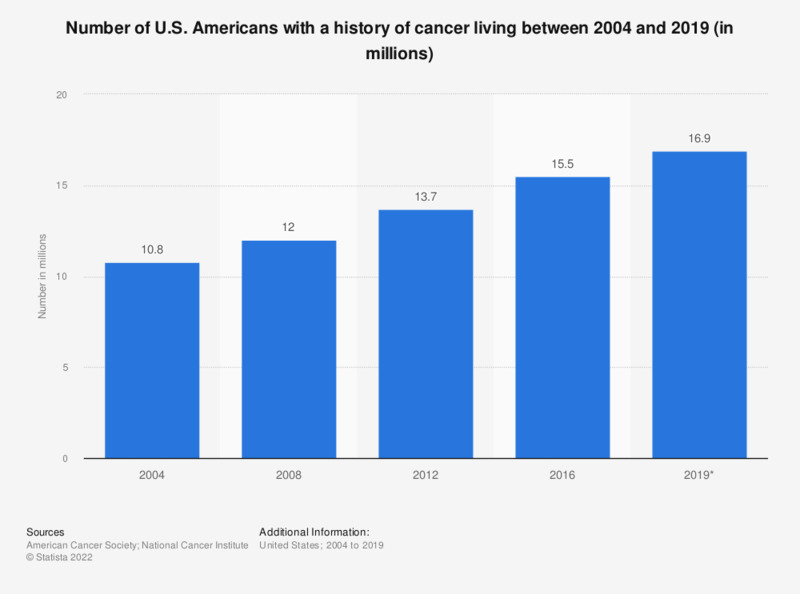 The rate of living U.S. Americans with a history of cancer has risen considerably since 2004. The rate of people with a history of cancer who were still alive was almost 11 million in that year. That number grew significantly up to 2012, when almost 14 million U.S. Americans lived, despite their previous experiences with cancer. * As of January 1, 2016. Figures for 2004, 2008, and 2012 were taken from previous reports by the same source. "How proud are you of Britain's history?"